It was officially January 01, 2015 at this point. What better way to spend the first day of the new year than to be spontaneous. After brunch, I invited my brother to try to reach Anawangin Cove. Prior to this trip, I have already researched a few details on how to get to this place. I also inquired with the hotel staff and they said that it’s doable. It was raining hard in Subic at that time but the staff said that there might be less or no rain at all in nearby areas. It was oftentimes like that around the area. Due to our persistence and new year good vibes, we decided to push through with our trip. We took the same path exiting through the Kalaklan Gate heading north via the RH5 National Highway. With the simple help of Google Maps, we followed the route towards the port town of San Antonio. 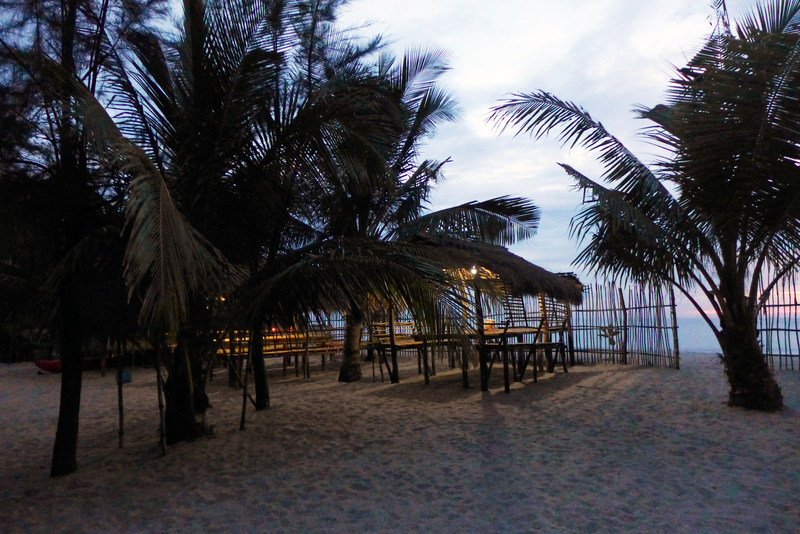 Before reaching the destined port town, you will pass by the towns of Castillejos and San Marcelino. It took us around 1 hour and 10 minutes to reach San Antonio. 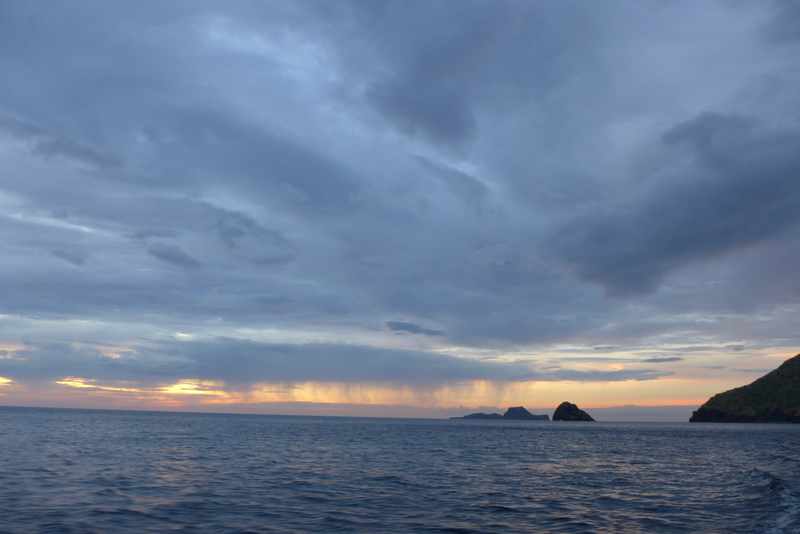 We were lucky that there was no traffic and the rain subsided as we headed further north. From the port town, you will easily pass by several properties offering parking spaces. We were charged P50 to park our vehicle. 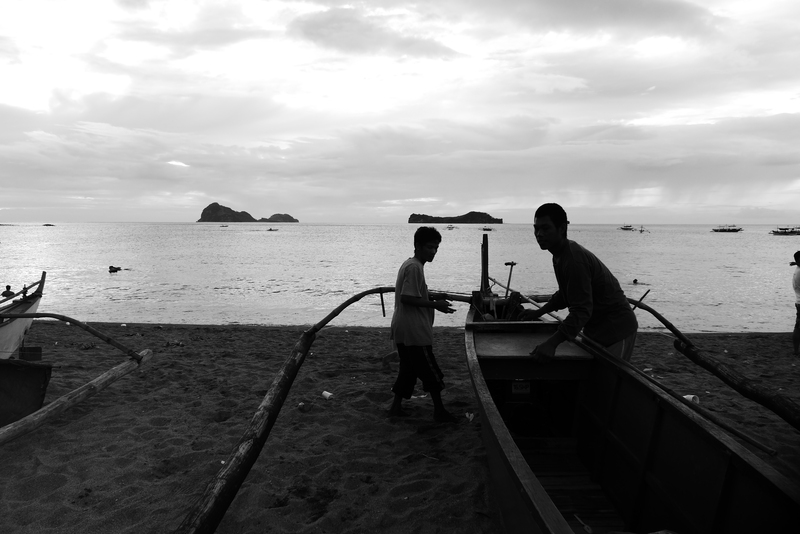 On the same spot, there were several locals there that we approached and inquired about getting a boat ride to Anawangin. Because it was almost sun-down and we were very impromptu about our whole trip, we agreed to pay P1500 to get us to both Anawangin and Talisayin Cove and return us on the same day. 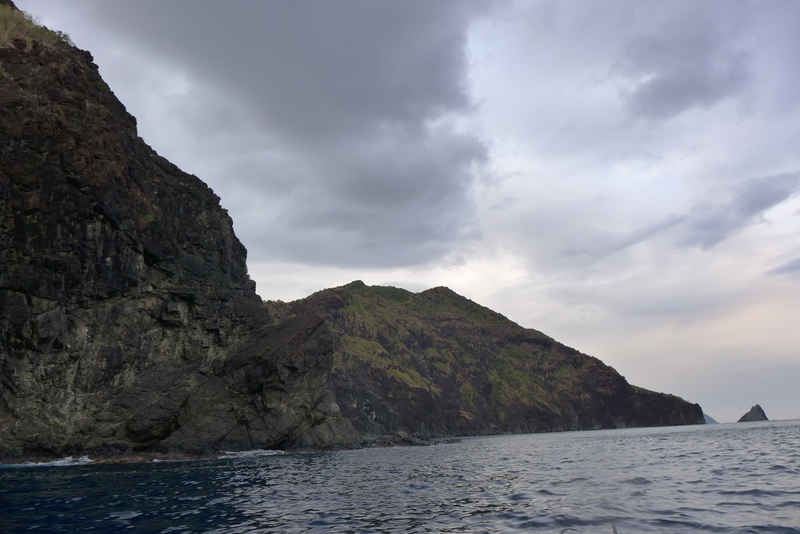 To reach Anawangin, you will pass by several rock formations and Agnain Cove. 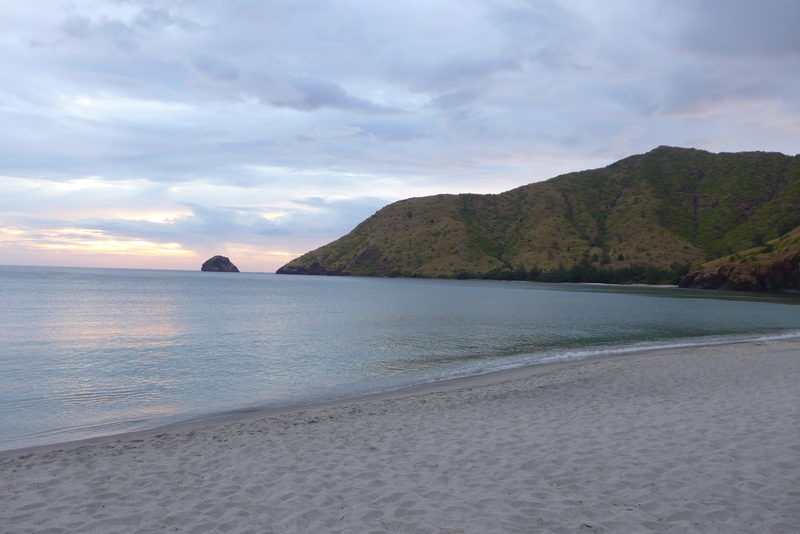 It probably took us around 20-25 minutes to get to Anawangin Cove. As a reminder, you will experience dead spots to zero signal once you head out of the port town. 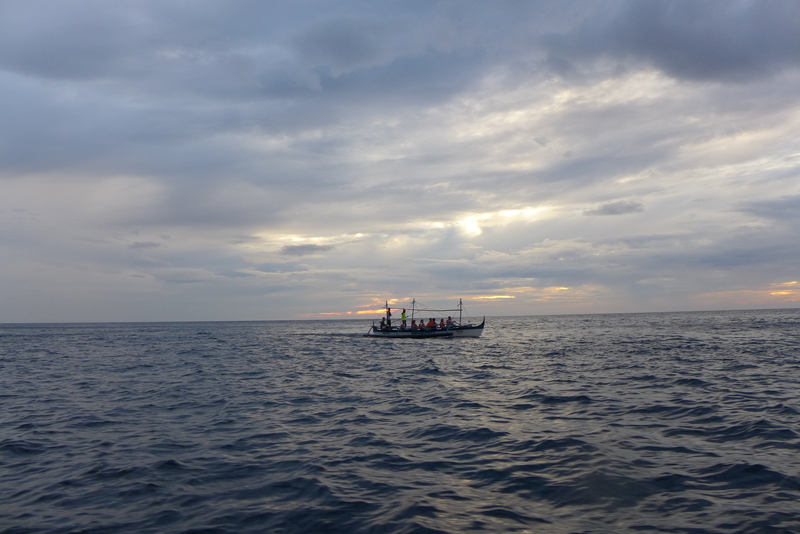 We only had the chance to stay in Anawangin for around 10-15 minutes as it was nearing sun-down. The weather was also gloomy so we had to take that into consideration as the waves might grow stronger. Since we didn’t stay long, we only caught a glimpse of the forest trail in Anawangin. 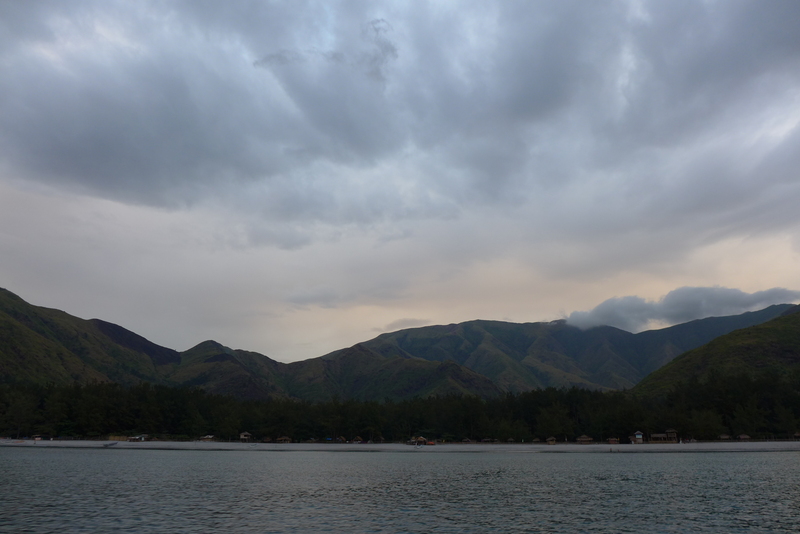 As it was nearing dark, we were still able to navigate through to reach Talisayin Cove. 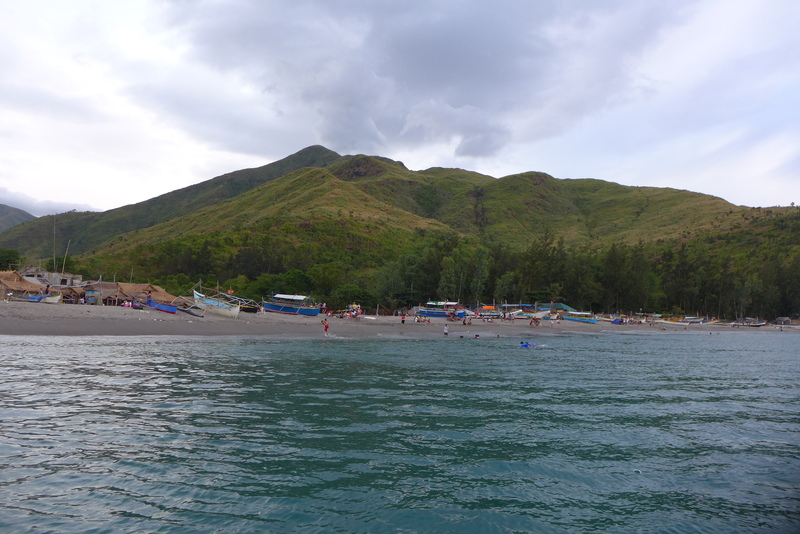 The boat ride took another 15 minutes from Anawangin. Talisayin is a quitier version of Anawangin. One of our boat men owns several huts in Talisayin. He boasts that unlike Anawangin, tourists who stay in Talisayin have the privilege of a generator. In addition, there are less tourists around this area if you want more privacy. 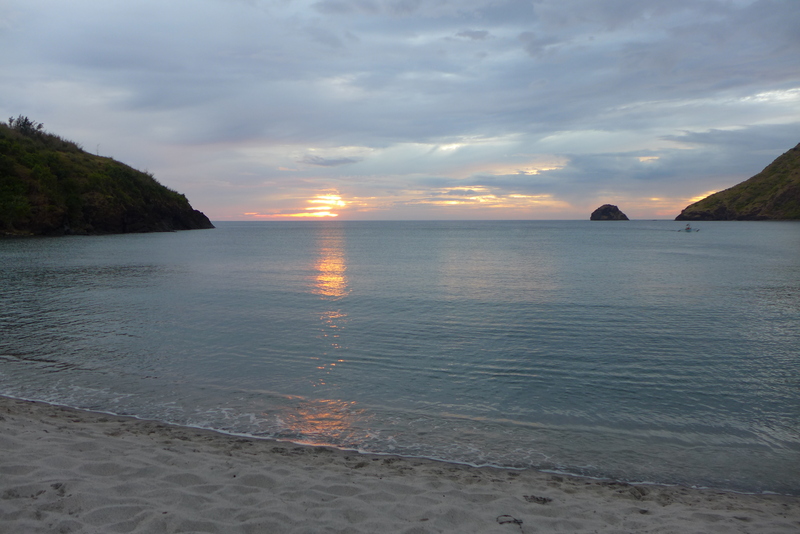 After our visit to Talisayin, we headed back to San Antonio. It was already nighttime when we navigated back (with only a flashlight in hand). 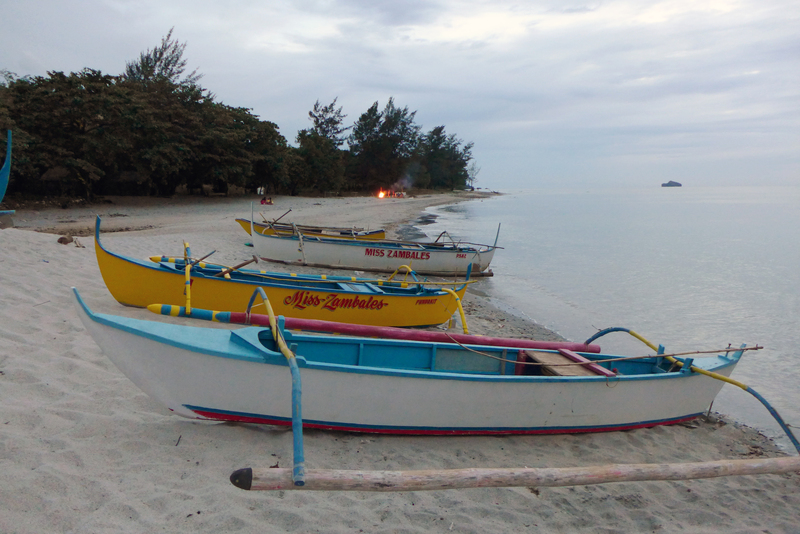 Luckily, our boatmen knew what they were doing and getting back at night was not a problem. We arrived in Subic around 8 in the evening. All I can say is, we will definitely be back for sure and will do an overnight camping in one of the coves. Whatever you’ve read or seen in other blogs are true. 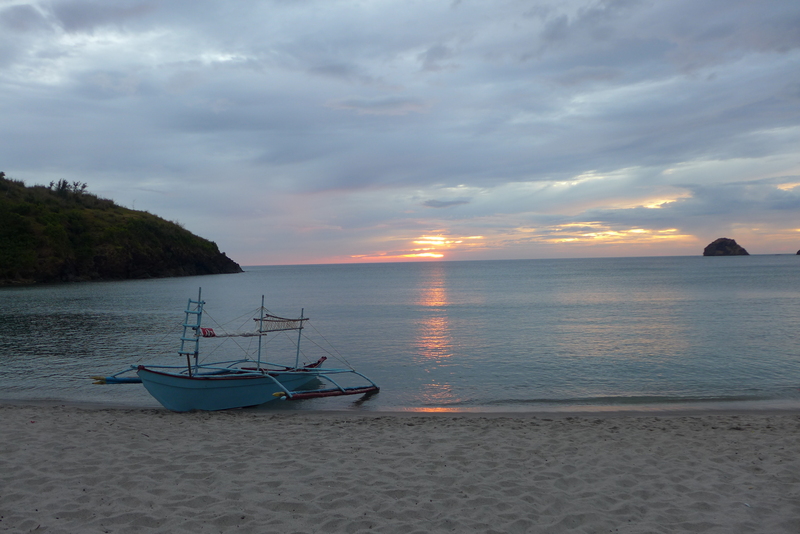 Anawangin and Talisayin (and the rest of the other coves) are a must-visit. 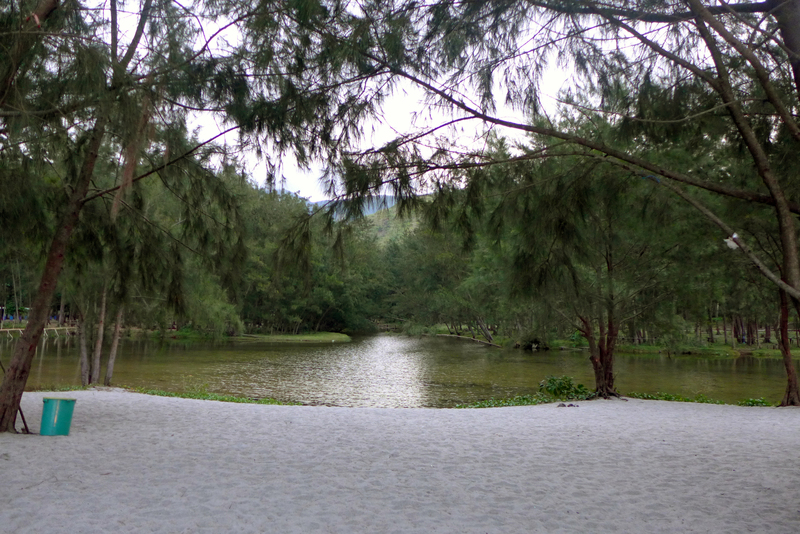 Soft white-sand, clear waters, fresh air, secluded, no cellular signal, pine trees…paradise within reach…it’s all true. Our trip ended on a high note with this one!